Mother Jones magazine confirmed Wednesday that one of its journalists was arrested while photographing a privately run prison in Louisiana where a second reporter was working undercover. 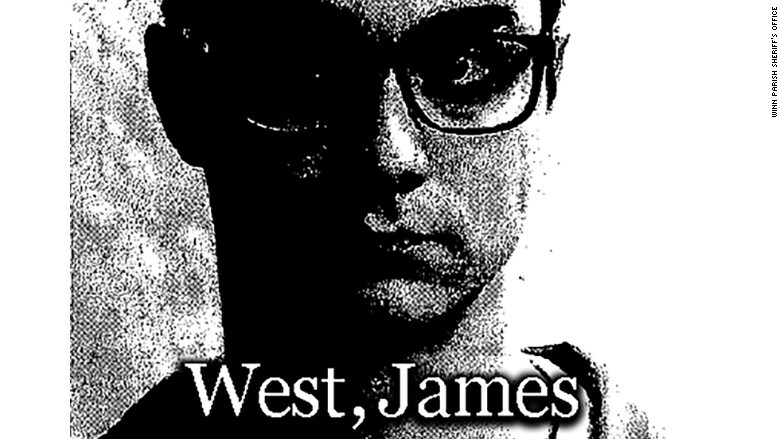 Shortly after James West was arrested last week, it was revealed by a local news report that Mother Jones reporter Shane Bauer was working undercover at the prison. Monika Bauerlein, the co-editor of Mother Jones, declined to elaborate on what Bauer had been doing at the Winn Parish Correctional Center. But she called Bauer "an award-winning criminal justice reporter" and said "he did not conceal his identity or employment history" during his reporting. "If and when we publish a story, we'll be glad to discuss it further," Bauerlein said in an email. A spokesman for the Corrections Corporation of America, which runs the facility, told CNNMoney that Bauer did not tell officials that he was a reporter. "He did not indicate that he was a reporter for Mother Jones and, to our knowledge, he was never transparent about his occupation with facility leadership," prison spokesman Jonathan Burns said. "Further, at no point prior to his taking this position did Mr. Bauer ever make a request of CCA seeking any information about our company. This raises serious questions about his journalistic standards." Burns said Bauer began work at the facility in December and resigned Tuesday. West was arrested on Friday and spent the night in jail after authorities in Winnfield, Louisiana, were notified that a person had snuck onto the premises of the prison. Winn Parish Sheriff Cranford Jordan told CNNMoney that West had several pieces of camera equipment in his possession, as well as a drone. Last week on Twitter, West indicated that he had purchased the drone to use for his photography. West was charged with one count of criminal trespassing. For first-time offenders, the misdemeanor carries a fine of between $100 and $500 and a maximum sentence of 30 days in jail. Bauerlein said that West was "stopped by police while doing newsgathering in a public place and arrested when he refused to show the contents of his camera." Jordan disputed Bauerlein's claim. "He was arrested because he was trespassing," Jordan said. "There's no violation for refusing to show the contents of his camera. The violation was criminal trespassing." Jordan said West was cagey to the deputies who made the arrest. The Louisiana State Police and Governor's Office of Homeland Security and Emergency Preparedness verified West's employment with Mother Jones, according to Jordan. West had no media credentials in his possession. Jordan said the state agencies were called because it was unclear "who [West] was and what his mission was." West went to the rural prison on Friday night. According to Jordan, guards noticed a man running from his vehicle toward the prison's fence. The man drove off when the guards approached, Jordan said, but the guards recorded the number on the vehicle's Texas license plate. Deputies arrested West, an Australian, near the prison. "An Australian with a Texas license plate in Louisiana runs some red flags," Jordan joked. Bauerlein denied that West did anything wrong and said West was within his rights to photograph..
"James was stopped by police while doing newsgathering in a public place and arrested when he refused to show the contents of his camera," she said. Jordan admonished West for putting himself in a dangerous situation, saying that tower guards could have mistaken the journalist for a prisoner. "Everybody's got to do stories, but you got to be careful," Jordan said. "You don't go to a prison at night. You don't violate the law when you're doing a story." West was released on Saturday after Bobby Culpepper, a Jonesboro, Louisiana, attorney, posted $10,000 bond. The arrest was first reported by the Winn Parish Enterprise on Tuesday.